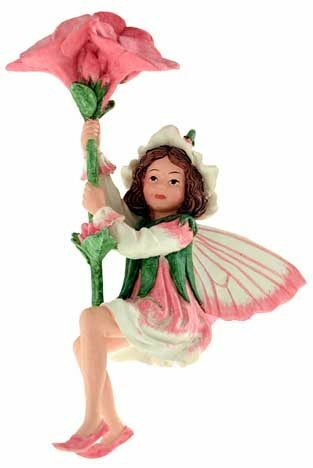 Beautifully hand painted Phlox Flower Fairy figurine. Optional gold string and wire pick included for securing in your display. Comes in a plain white box, not display box. Beautifully hand painted Phlox�Flower Fairy figurine. Optional gold string and wire pick included for securing in your display. Comes in a plain white box, not display box. O come and find them here! For they are ever green. Does not love Periwinkle's blue?